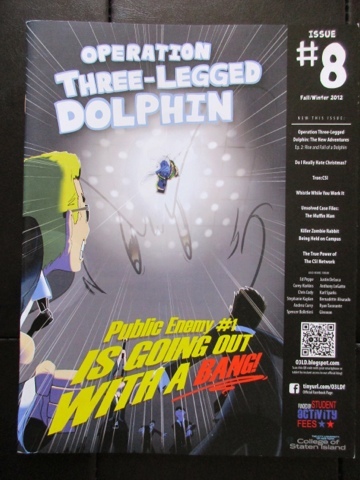 We’ve just gotten our hands on Operation Three-Legged Dolphin’s eighth issue! Here we conclude “O3LD: The New Adventures," a spin-off series depicting our three-legged hero going up against all odds! We conclude with an unexpected ending that will most certainly make you squirm in the best of ways. Enjoy the madness!